@damianwayne00 well its true the changes for mod 13 not are big changes and if you play console that mean improvements of this class not reach to you yet. But fury can do good damage maybe the playstyle this path of dps not was disegn for competive agnist others class dps because need warlock curse for trigger creeping death and only have up a 3 targets and others dps like GWF just need strike the masess and the max damage dealt is reach without acumulate some type damage. Once ago the sw damnation was very competitive agnist others dps in times of soulpuppet buged. I think damnation should be a second playstile for dps of sw perhaps right now its underperforming and unplayable but have mouch potential because max damage dealt once ago dealt not was depended of dots was damage direct but with buffs not intended for soulpuppet and its true when i chosse sw the description clas say “If you want to deal damage, this is the class for you.” how can posible the one class suppos oriented damage just have only single path for make decent damage ? range 3% bonus from hunt (i don't know the name of this bracelet) doesn't work for Gates of Hell and Hadar's Blood. It might be a but, I honestly don't know, but I'll forward the report just in case. Sorry to say @damianwayne00 but if you are beaten by the OP and DC you clearly do something wrong. . . No point reworking a class around someone that does not know how to use it and then posts hyperbole due to that. All you really need to see and understand at this point. If things work out like they normally do for this class you can check back in two years. Maybe. The class hasn't become the noticeably better striker people has stated it is (as it is most likely based on the +500% effectiveness bug) neither is so weak that even dc can out dps it (hyperbole), the truth lies in between those 2 points of view, assuming no bug of hadar, sw, although a bit better now, is still behind other strikers in damage output. I know it won't please everyone but have done some smooth and quick Tomb runs this weekend with 1 DC and 1 Temptlock. SW fury tree have exelent damage but in trash runs always still behind others dps strikers for because mechanic of build dealt do ticks with warlock curse and many others feats like brutal curse trigger targeting or proc targeting this no matter on single bosess and maybe that is one reason for fury melt bosess but in rest of dungeon that main reason overcome for others dps class like CW, GWF or HR. Damnation once time ago haved everything for make desirable sw dps, haved exelent damage AoE and single target offered diferent and authenticity playstyle and right now have noticeable bugs so far soul desecreation clearly need more things the description of that feat its it pour compared soulbonding or creeping death @balanced#2849 if really want do a change of sw give us 2 playstyles for make dps viables what changes so far templock was more viable than play dps(only single path) and after "changes" templock still more viable than play dps(only single path) i dont say templock its more viable because fury is bad say around 80% sw looking for group in channels are templock because the support always lack and why chose play dps if others many class can do that ? 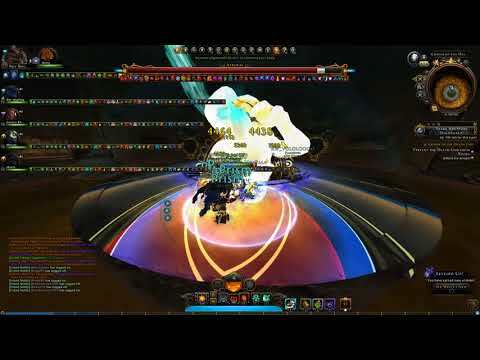 thats why in mass DPS-SW still be a myth. the main reeason is that templock is a support for GWF/GF/HR who was bigger damage in any way. So it's now legit to create builds on 'bugs'='features for 2 years to come' like the PillarOfPower miraculous LesserCurses and the (not sure it's proved) efficiency bug of BroodOfHadar and some other next to be found things. Bugs and exploits reliant builds! Sooooo cuuuute! SW rulez! On my templock we did fast and smooth runs like that with 1 DC and 1 Templock before the buffs were live. After buffs I have done smooth runs even with two SW, another templock and me running as main DPS. The game has gotten really stale for a sw main. Cryptic has relegated our class to a bottom feeding low dps bug exploiting class. @balanced#2849 what is the point of the SW changes if they dont address at least a small percentage of SW problems, like long animations, slow cooldowns, low encounter dmg, or the lack of synergy with buffs? What is so appealing about templock, when u could roll a DC instead or fury when u have GWF for dps? SW is a gimmick now, and the only reason I havent shelved my SW is because I found the other classes extremely boring to play save maybe CW and TR. buffers just spam retardedly all day same as GWF spamming same powers with no versatility or uniqueness to it. These SW changes..seems like somebody just went into the code and randomly tweaked a few numbers to make it seem like we are performing better in m13. Next module if there is nothing worthwhile in it for Sw im finally shelving this guy and transferring my enchants over to another class. Fool me once...well u guys know the old saying. Maybe Templock. I don't see anyone "lf hdps SW" or "lf SW DPS" or anything like that. You know, the main job of the class. Fury SWs at least should be among the best damage dealers in the game, on par with GWFs and TRs, since that's their only function. It could be that the description when you choose SW as a class that says "if you want to deal damage, this is the class for you" is bugged. The question is whether the bug fix would be to actually make SWs live up to that promise, or to change the description and give everyone that made an SW a class reroll. - Lack of self-buffs, Class Features for both paragons and feats in general are very underpowered or flat out worthless, they need to be buffs that give a meaningful damage increase, SW literary is the worst by leaps and bounds in this regard. - DoT= too little damage over too much time. - Killing Flames: very low min damage, takes most of the fight to reach max damage, lack of self-buffs further worsens hits. Min and max damage values need to be close in value (not close to the actual nearly x3 times difference!) and the hp penalty to reach max damage (target needs to be at 24.99% hp) needs to go, we're the only class this gimped with one of our stapple encounter powers. While there are exceptions (like 4 buffers with very low personal dps in a boss fight), it often is better for the team if the warlock stays HB as the party utility for pillar, when benefitting several party compositions and due to the multiplicative nature of buffs, beats Souls Scorch at assisting the team to kill something fast. While SB does outperform HB in single target dps already, the difference is just not enough a lot of the times so, for balance's sake, SB needs meaningful tweaks that can significantly increase its single target dps. Think about it, other strikers outperform SB at what's supposed to be its advantage (damage vs 1 target) and they also often grant medium to large damage increases to the group via buffs (like Longstrider's Shot and Into the Fray), even GWF (on top of having better single target dps) has more party utility than any Fury Soulbinder build anyone can come up with. Does this sound balanced to you? Being outclassed this much? As all fury Soulbinder has going for it is personal damage and considering that it is necessary to make both paragons relevant (so making Soulbinder another buffer is not a solution), it is reasonable to suggest you take a look at it and, by tweaking things like Class Features and paragon feats to be meaningful buff and perhaps giving some love to Soul Scorch and other single target dps encounters a reasonable damage increase, it would make this paragon more viable. Critical Promise feat is unable to crit. This is most likely why poor Mako's became a lich. It was the only option that he might live long enough for the Devs to ever make this striker class . A real striker class again. Well Im off to hide my phylactery. Warlocks curse should be a buff to ourselves, maybe instead of 3 targets give us 3 charges to increase our damage. For temptation using a charge has an aoe and buffs allies. Gatekeepers empowerment should increase the damage of rebuke in general and not just the dot component so that no pity no mercy doesnt actually cancel out that bonus and be a damage increase for pvp. Helltouched should make it so that any party members can ally this debuff. As is, u barely get hit in a boss and only in mobs really. Murderous flames could work on all fire powers, we need to step away from feats being tied to powers, also scale down the bonus damage . Flames of empowerment should be a self buff instead of a debuff to increase effectiveness in mobs, we dont have time to hit an enemy 3 times each before theyre all dead. Scale down the damage bonus to watever seems fit. Killing flames shouldnt be hindered by the hp threshold. Increase the cooldown and if the enemy dies from killing flames reset the encounter cooldown. Lesser curse should be applied through critical strikes without all consuming curse. Lesser curse is a class feature and yet its tied to a passive. All consuming curse could increase the damage of curse based attacks like curse bite, warlocks bargain, lesser curse. Curse bite should work as charges, the damage isnt great but this would increase effectiveness in mobs. Dark ones blessing could increase the damage of curses, necrotic damage and soul puppets/spirits while prince of hell add a burn to fire powers or damage increase (would prefer the burn as fury already has murderous flames in case u do change it. Soul puppets could have their damage be based on ur hp equal to 10% and the damage them do scale of of ur power/buffs applied to u. Give them the ability to crit equal to ur crit chance so damnation will be viable again at least. Speeding up the animation of gate of hell would be nice but not needed, i would like the target cap to be increase tho as it seems like it would hit more targets. I feel like fury would more about fire and anger while damnation would be more along the lines of a necromancer using spirits and hexes to destroy them enemies. It is necessary to start the post mod 13 changes that were discussed on this very thread. For M14, there won't be a lot of class changes. Most of the changes that are going in are either bug fixes or minor tweaks for PvP. I have been keeping up with this thread, but it is rather "old" at this point. I encourage you guys to move discussions to the Class Forums as I read all of the new posts on there. For the future, there are a couple of things that we want to look at for Scourge Warlock. I've put the largest things in a list below, so let me know if you think there's something else that needs to be addressed. As a note, these are not in any specific order. Cast times, and general clunkyness, for power activations. Going into the module after M14, I will say that we likely won't address all of the things on the list but I think you will all be pleasantly surprised . Thanks a lot @balanced#2849, those points look fine to me. Please, when you make the pass over killing flames make it so it doesn't go on cooldown if there is no target, and please, take a look at murderous flames, because if the target dies from killing flames then murderous flames doesn't activate no matter how many other mobs are near the target. Thanks for the update, it is appreciated, sir. There's no way any SW build could ever come remotely close to that with those same top tier players buffing him and this includes our old friend the puppet. On top of that, you can do an even easier change and that alone can make Damnnation competitive with fury and ever outperform it: Wrathful Souls increases the damage of the Puppet and Gastly Commander the damage of the SW when the puppet is active, if you literary increase the damage both give by a very large amount (so both puppet and warlock can hit incredibly hard, like other strikers can and the reason they are superior to us), you will not only make SW a good dps contender, you'll give pvp ones the means to fight players from other classes on better terms (as both SW and puppet would be able to inflict some serious damage). As for Damnation tree in general: It is far too lacking in damage bonuses given especially to SW, current Wrathful Souls is not enough to make the puppet half-decent, hopefully you'll consider the previous suggestion. As for Mocking Spirits, it gives damnation a unique feel, please consider changing to so the Puppet gets 100% of the hp from the SW as well as perhaps offensive stats and the like? Perhaps you can make the Puppet able to crit, have the crit chance and severity of the SW? Class features and self-buffs: We are far too lacking in this regard, we have base damage decent enough to give us some damage potential but that gets wasted as we have litte to no ways to multiply our damage, every single other striker class does outperform SW majorly in this regard. So, not only our Class Features need to be actual damage buffs (not debuffs), our feats from paragon (except maybe templock) and heroic tree feats need to be changed to give us a meaningful damage increase by becoming buffs themselves. Feel free to check the paragon feats of other classes, they're far better. Increasing the buff from Pillar (and making it instance wide rather than group only) some would be good. As for SB, it needs a very large single target dps increase so it can compete or even outperform the party utility from PoP so HB often isn't the way to go. SB fury (and damnation when you address that spec) needs damage that helps to make up for the almost complete absence of party utility, if other classes can hit like a truck (harder than any SW build) and buff like bosses, fine, but please let SB outdamage them as a trade off otherwise what is even the point of SB? Murderous Flames still is being mitigated despite of mod 13 changes stating otherwise by the way, it is dealing around 22% of KF damage and has the issue @nisckis mentioned where it won't even proc. DoT damage from powers and feats: It's too long and too slow, that's why SW needs far too much time to deal full damage and it's one of the reasons it can't keep up with other strikers . DoT is something kind of iconic of SW, yes, but, being DoT shouldn't mean to be so excessively slow at dealing damage, take Creeping Death and Hellish Rebuke dot, they both tick once every 1.5 seconds (thanks @slyef#6396 for testing this out), that's a lot slower than wonder encounter power Plant Growth (trash and boss melter) which ticks once every 0.5 seconds which is what you should set the timer of all or some of our dots imo, we are being outperformed overall as we comparatively are hilariously slow at taking hp off bosses. Or maybe 0.8 seconds or so? Anyway, that some of our dots need as much as 1.5 seconds for each tick is a serious balance issue. On top of that, again, always having other strikers as a point of reference, the damage SW dot powers deal for how slow they are is rather lacking, hopefully you'll consider both changing the timer so dots tick faster and making each one actually deal some serious damage so our single target dps can shine, it's needed for balance's sake because as it was pointed out before, not only are other classes out damaging us, they are outperforming our party utility (or at least having a better dps - party utility balance, like a few CW builds), all in 1 build.